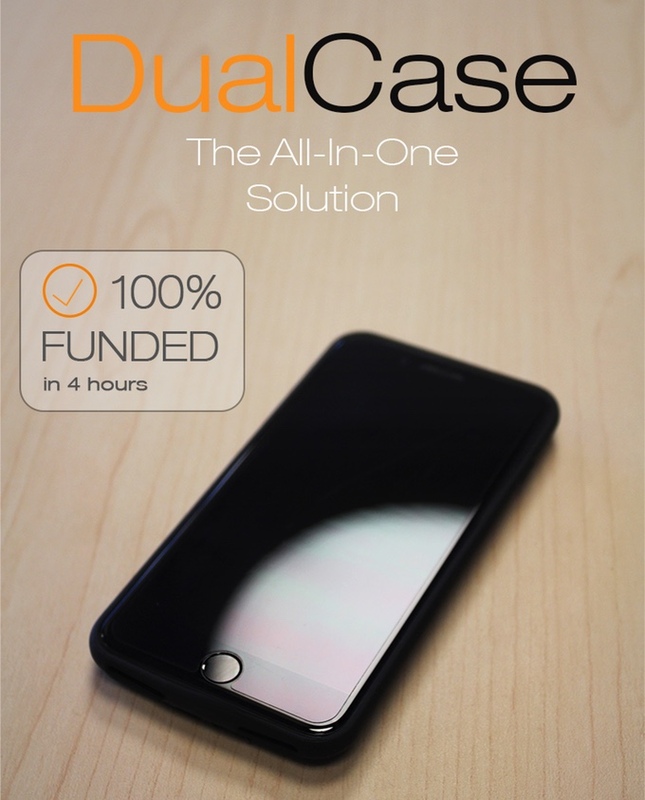 The DualCase is an iPhone case which offers additional power, wireless charging, and two lightning ports. This case is currently out on Kickstarter with a CA$3,000 goal. Pledges already reached over 10 times that amount ever since it came out. Let’s check what these backers found that makes this iPhone case worth the money. The DualCase offers a sleek and minimalistic design. It’s very straightforward without adding much fuss. The iPhone case solves the problem of having only 1 port on the iPhone 7. There are two lightning ports which can be used for listening to music and charging at the same time. Although, if you don’t want two wires sticking out of your iPhone, there is also a built-in Qi wireless charging receiver. They are also selling wireless charging bases capable of 2A output for fast wireless charging. These wireless charging bases will only be at $35 each. Besides having multiple ways to charge, the DualCase also extends your iPhone’s battery life. The case will have either 2000mAh or 3000mAh of extra power which should add over 14 hours of talk time to your iPhone. You may pledge CA$90 or approximately US$68 to have your very own DualCase. Visit their Kickstarter page for more information! Previous articleDell 23 Wireless Connect Monitor at 56% Off! Next articleFast Charging Qi Wireless Charging Stand at 58% discount! Team – you may want to either delete this article or post an update that the Kickstarter project failed and delivered no workable samples that met the promised features. Better to do that, than leave a positive post on your site about what was actually a rather negative project in the end.